Lori Benton, interviewed here a couple of weeks ago, first told me about the movie Bury My Heart at Wounded Knee. We share a heart for Native peoples and their often untold history, so I knew it would be a worthwhile watch, though I didn’t expect an easy one. I also wanted to see another movie with Native American actor Adam Beach after seeing him play Code Talker Ben Yahzee in Windtalkers—he is truly a fine actor. But I didn’t know I would like this “docudrama” as much as I did. I learned a lot of history, for one thing. 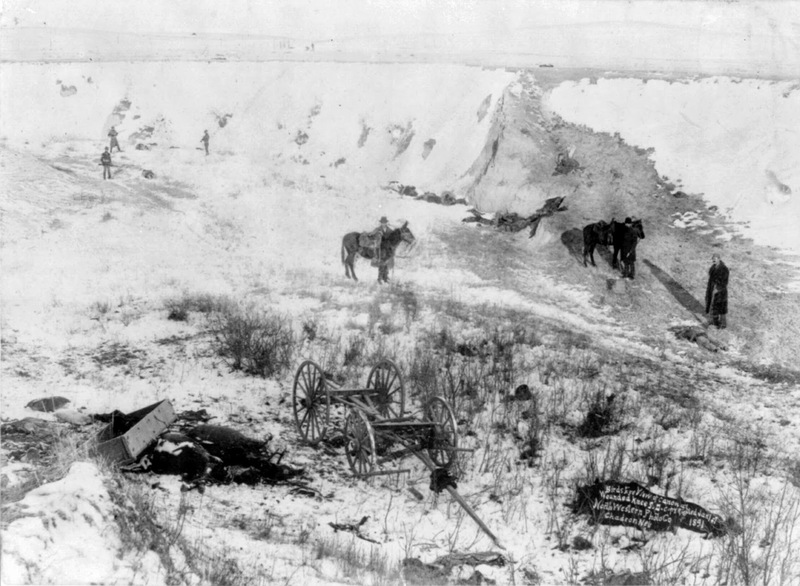 While I have learned much about the Diné/Navajo through friends and writing research over the past few years, I knew very little about the Lakota/Sioux and their history, though I’d read of the massacre of men, women, and children at Wounded Knee. I still don’t know a great deal, but the movie did give me a feel for this tragic late 19thcentury span, when this people were being systematically crowded and crushed from their land, freedom, and traditional, self-sufficient lifestyle. Names of reservations I’ve only read and heard about came to life as I watched them founded—Rosebud, Pine Ridge. And Little Bighorn, Senator Henry Dawes, Sitting Bull, and Wounded Knee became real people and places, not just printed words in a textbook or web page. I liked how, in between episodes of the movie and in the credits, sepia-toned photographs of the actual historical figures and their actor counterparts reminded me that, despite a few historical discrepancies, this story really happened. I was struck by just how complicated it all was. The actors and script showed the complexity of issues and possible responses, on both the white and Native American sides. Red Cloud, who “touched pen to paper” to agree that his people move to reservation land and later regretted it. Sitting Bull, who held out longer than any other chief before surrendering to the U.S. Government, yet then became a sort of celebrity. Henry Dawes, a senator who fought long and hard for Native rights in Congress, yet who believed the Lakota’s only chance for survival was to assimilate to white society and whose own well-meant policies caused much damage. Charles Eastman, born Ohiyesa, a young Lakota doctor successful in Anglo society, yet by the end of the film broken over the devastation of his people and regretting his own loss of culture and cooperation with Dawes’ plans. Elaine, the young white woman who loved him. It made me wonder, what would I have done? I saw the beginnings of so many current reservation issues as children were taken off to boarding school, families forced onto allotments of land and reliance on government rations, alcohol. Yet with so much harm already accomplished, the U.S. government and settlers steadily encroaching on Lakota land, what were Sitting Bull, Dawes, Charles and Elaine supposed to do? If only the Native Americans had actually been listened to, respected enough to not have had their future either prescribed or forced upon them. If only there hadn’t been so many broken treaties, broken promises. Should I wish white settlers had never set foot on these shores? There don’t seem to be any easy answers. But this movie reminded me again how we must know the past to understand the present. It reminded me why I write the stories I do, to help tell, even a little, those true stories often forgotten or untold. Most of all, I want it to remind me to listen to others’ stories and pasts, especially those different from mine. Jesus is a God of healing. But healing can’t come until we face the wounds. 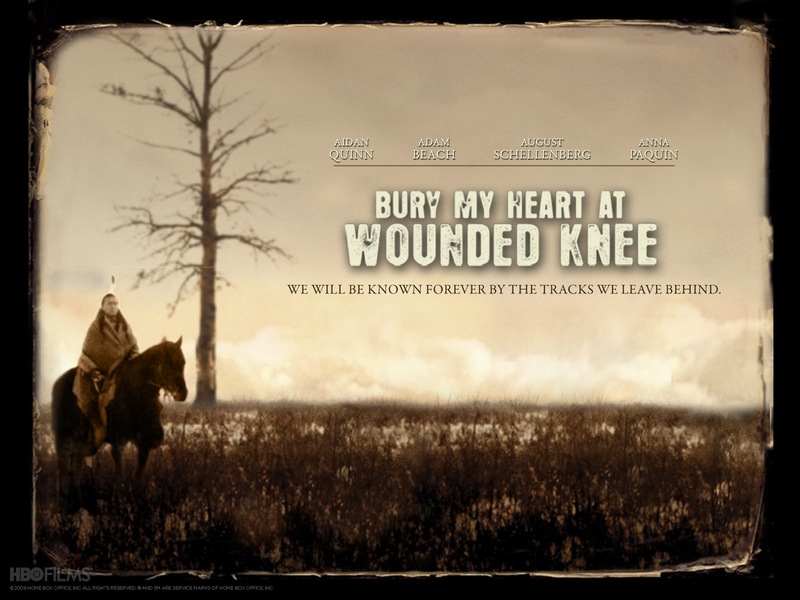 Sometimes that means having our hearts broken, maybe at a place called Wounded Knee. WE have to face what happened to them at the hands of our ancestors. No, we didn’t do the damage, but somebody has to help rebuild, right? I often wonder what it would be like if the Native Americans were successful at defending their lands against the white settlers, where would we be? Hmm…yes, I wonder. Not easy questions or answers. But thanks for being willing to tackle them, friend!